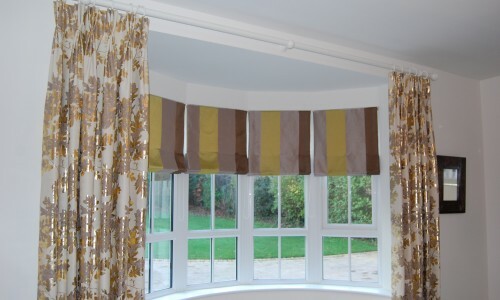 Five bespoke roman blinds with dress curtains. 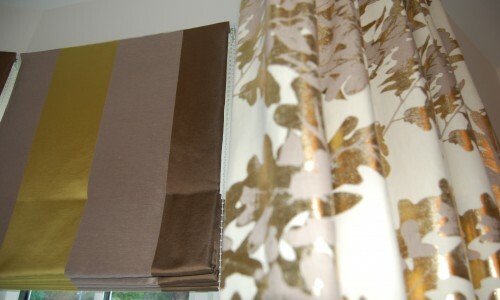 Close up of roman blind and curtain from the same Designer’s Guild fabric range. 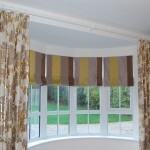 This bow window in a lounge has a protruding windowsill so roman blinds were the chosen design option. 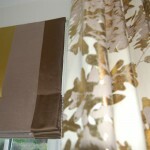 Dress curtains frame the window to finish off the look.